The last six episodes will revolve around New Directions battling Vocal Adrenaline and making the trip to Nationals. Expect to see a lot of returning faces including Sunshine (Charice), Vocal Adrenaline coach Dustin (Cheyenne Jackson), April Rhodes (Kristen Chenoweth), Holly Holiday (Gwenith Paltrow), Terri (Jessalyn Gilsig), Sandy Ryerson (Stephen Tobolowsky), Dave Karofsky, Becky and Jacob. Sue will form a “League of Doom”, which will comprise of Dustin, Terri and Sandy . They join forces with Sue to fight against the glee club. Apparently, each of them will have their own missions to carry out for Coach Sylvester. Episode 18 is titled “Born This Way” and will feature Kurt, Karofsky, Blaine, Santana, and Brittany singing the hit Gaga song. Karofsky finally comes to terms with his sexuality – whether he come out or not is not known. In regards to Santana and her love life: the last part of the season will focus heavily on who she is as a person. Prom is coming and the Warblers will provide the entertainment. A love interest for Mercedes might be right around the corner. 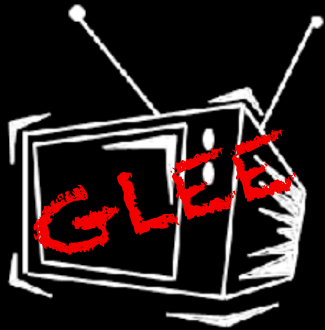 They are shooting the Glee reality show right now, and the producers are keeping an eye out for someone who could keep up with Mercedes. ~ by CDWB on March 17, 2011.